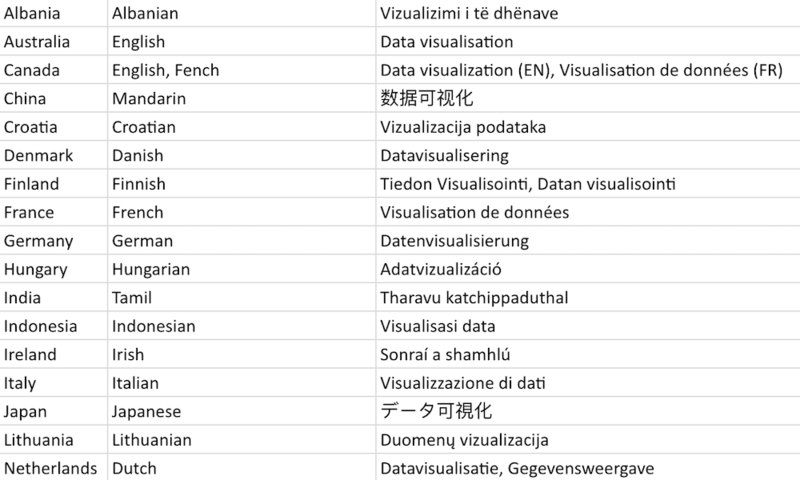 Last week, having learnt about the Finnish translation of data visualisation, I put a tweet out enquiring what other translations are used around the world. I would love to continue growing the list of translations across as many different regions and languages around the world. This Google Sheet is open to all to edit so please add your translation!